Our commitment to the diversity of our student body requires a mirror image of that diversity in the composition of faculty, staff, administration, and trustees, and will likewise be reflected in our curriculum. Our D-E community is culturally rich in so many ways. We have so many nationalities, faiths, and divergent ways of thinking as a result of the fact we come from so many communities and backgrounds. D-E prides itself on following through its mission, to "embrace diversity" by being a welcoming and inclusive institution, and creating and coordinating activities that explore the similarities and differences on our campus and beyond. Diversity-related events, projects and activities at D-E at all levels of the School reflect a need, conversation, dream, or idea voiced by students, parent, faculty member, or administrator. The goal of multicultural programming should be to educate, expose, and enlighten us about the things that are part of who we are, what we believe, and how we feel. Student and parental involvement and collaboration is critical to true multicultural programming. 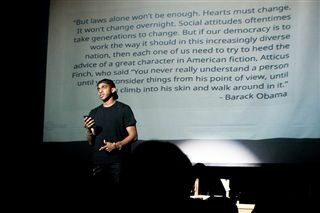 INSPIRE, the Upper School student diversity club, is one means of creating student activists. 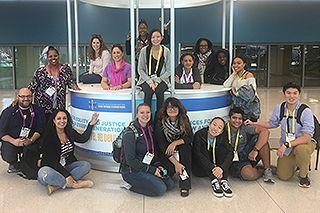 Leadership training at the national Student Diversity Leadership Conference and the local Teens Talk about Racism Conference are additional opportunities. Another key collaboration is a trip to Korea sponsored by Sejong Cultural Education, Inc. in partnership with the DE-E Parents' Association (PA) Korean Affinity Group. This is just one of the several PA Affinity Groups active at the School. In the Lower School our students' awareness and appreciation for diversity is encouraged through assemblies and programs recognizing Diwali, MLK Day, to name a few. The ultimate goal with all these diversity initiatives is to support the mission of the school to be an inclusive institution for all members of the D-E community. 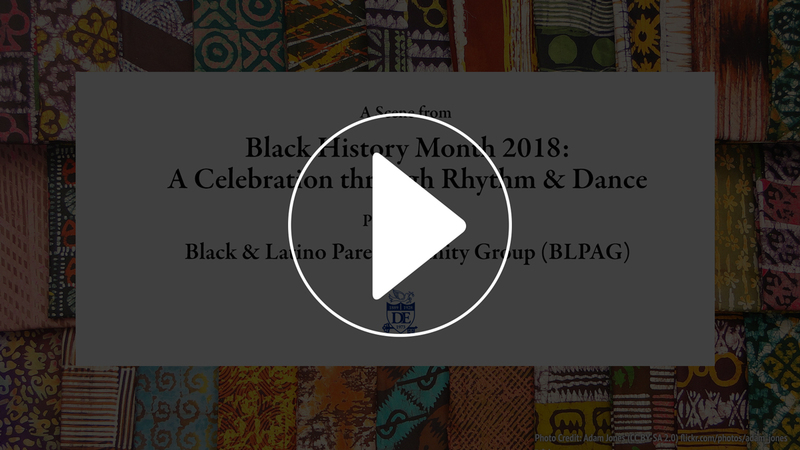 D-E Black & Latino Parent Affinity Group (BLPAG) hosted Black History Month 2018 - A Celebration Through Rhythm & Dance featuring special guest performers and D-E students. Click here to see event program. 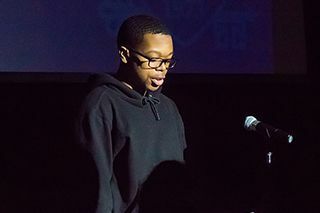 In the honor of Dr. Martin Luther King, Jr. Day, the Upper School had its MLK Assembly encouraging D-E community to continue on building MLK’s dream. See below for more photos and details. 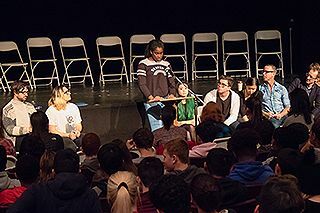 Hosted by Upper School student club Gender and Sexuality Association (GSA), GSA Assembly presented series of Q&A sessions from panelists of different ethnic and cultural background to deepen the understanding of diverse community. See below for more photos and details.